Medieval Apocalypse is a free game for Windows 8 and Windows 8.1 devices that allows you to play as a medieval knight who has to complete missions and progress through the various chapters in the game. The game has nice graphics, and although the top angle camera mode takes a bit of time for getting used to, once you are accustomed to it, you will absolutely fall in love with the game. The game has on screen controls, so touch screen users, rejoice! The game runs smoothly and makes for a very engrossing experience all in all! 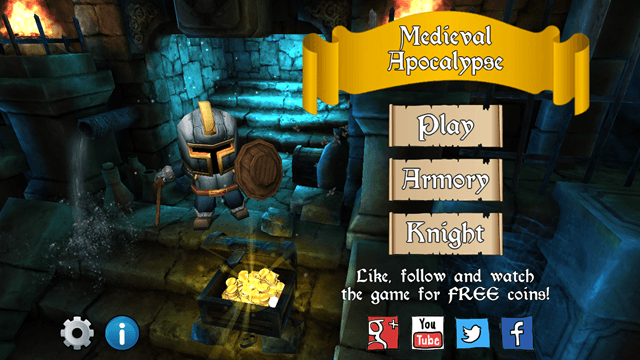 Medieval Apocalypse is available as a free download from the Windows App Store. When you launch the Medieval Apocalypse app on your Windows 8 device, you will be greeted with the main screen of the app which resembles the following screenshot. 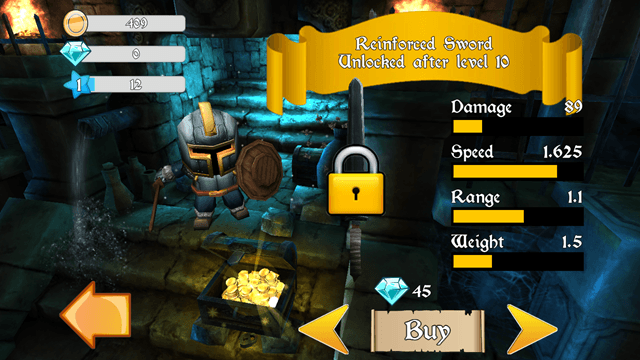 The Knight option allows you to upgrade your attacks and defenses by paying some game money. Game money can be earned by completing quests and chapters. The controls of the game can be seen in the screenshot below. 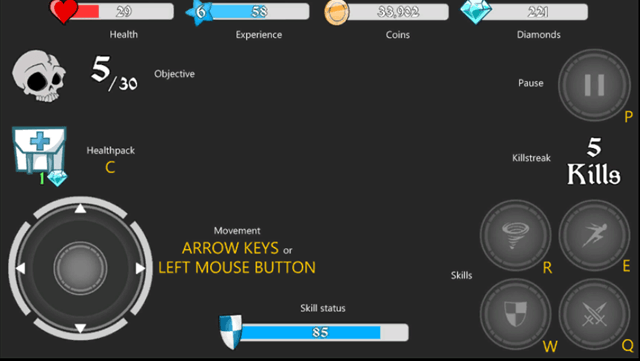 As you can see, you can move using the arrow buttons, and use the R, E, W and Q keys to perform various kinds of attacks. The game can be paused using the P key and health packs can be used by pressing C on the keyboard. When the game starts, you can either use the keyboard controls stated above, or use the onscreen controls as well. 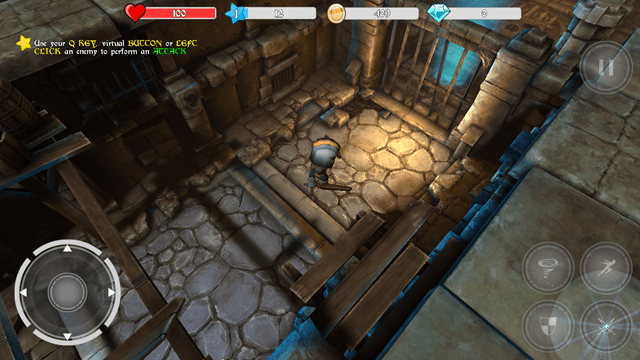 The gameplay will look like the following screenshot. If you look in the screenshot above, you can see the knight whom you play as in the game. The onscreen controls are also visible, and health, energy, coins and gems are also listed at the top. Throughout the game, you will encounter enemies whom you’ll have to defeat. You will also encounter coin (and if lucky, diamond) chests which you can collect on the way. The only thing that I don’t really like in the game is that there is no way to save the game where you are. There is no Save option in the menu, and neither are there checkpoints to do the same. Apart from that, the game is cool and really fun to play! Also try: Six-Guns and Abyss: The Wraiths Of Eden. Medieval Apocalypse is a good and intriguing game that will keep you hooked for hours. The graphics are cool, and although that awkward top camera angle takes a bit getting used to, the game is really fun to play after all! I only hate the in game ads and the annoyance that there is no option to save your game progress, which I feel is a big negative. The game definitely loses points for this! I give this game a rating of a 3.5 out of 5!